Against the might of the Galactic Empire, an unlikely band of heroes emerges to renew the fight for freedom. 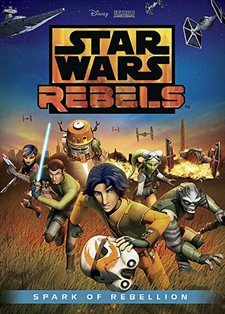 Witness the epic debut of the riveting animated series Star Wars Rebels, in this one-hour movie event ? showing on the big screen one time only! The story unfolds during a dark time when the evil Empire is tightening its grip of power on the galaxy. Imperial forces have occupied a remote planet and are ruining the lives of its people. The motley but clever crew of the starship Ghost -- cowboy Jedi Kanan, ace pilot Hera, street-smart teenager Ezra, the "muscle" Zeb, explosives expert Sabine, and cantankerous old astromech droid Chopper -- is among a select few who are brave enough to stand against the Empire. Together, they will face threatening new villains, encounter colorful adversaries, embark on thrilling adventures and become heroes with the power to ignite a rebellion. The talented voice cast includes Freddie Prinze Jr. as Kanan, Vanessa Marshall as Hera, Steve Blum as Zeb, Tiya Sircar as Sabine, Taylor Gray as Ezra, David Oyelowo as Agent Kallus and Jason Isaacs as the Inquisitor. 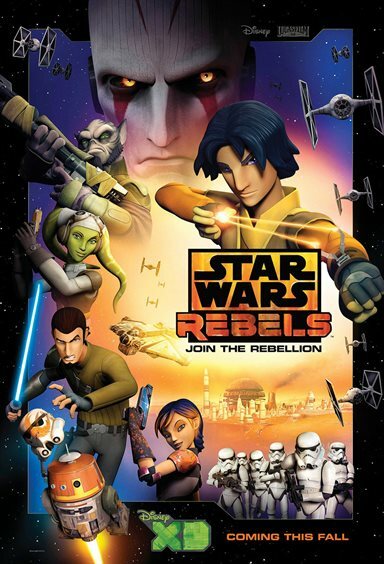 Download Star Wars: Rebels in Digital HD from the iTunes store. Star Wars: Rebels images are © Lucasfilm. All Rights Reserved.